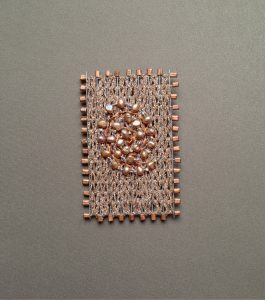 Years ago, when macrame was popular, I made fiber sculptures using macrame knotting techniques. 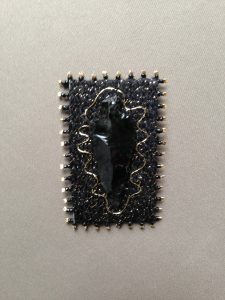 Some of these sculptures were 7’ tall. 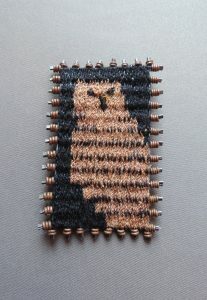 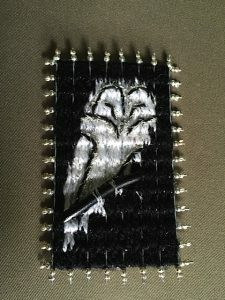 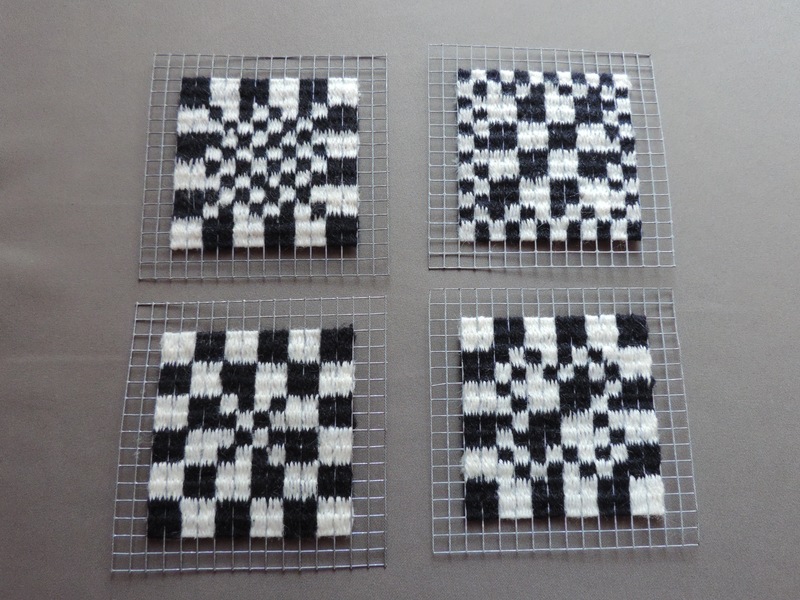 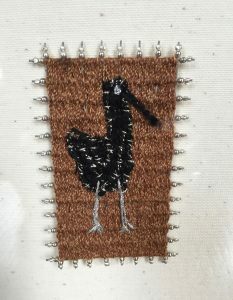 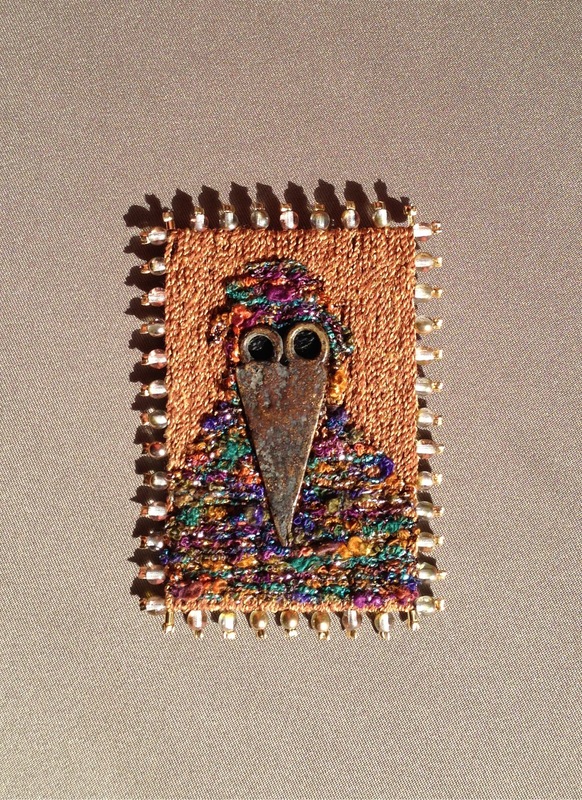 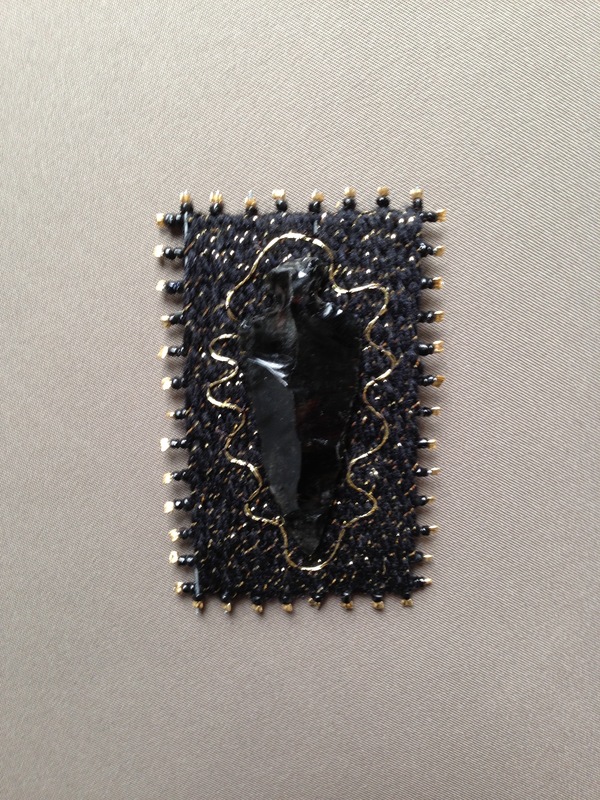 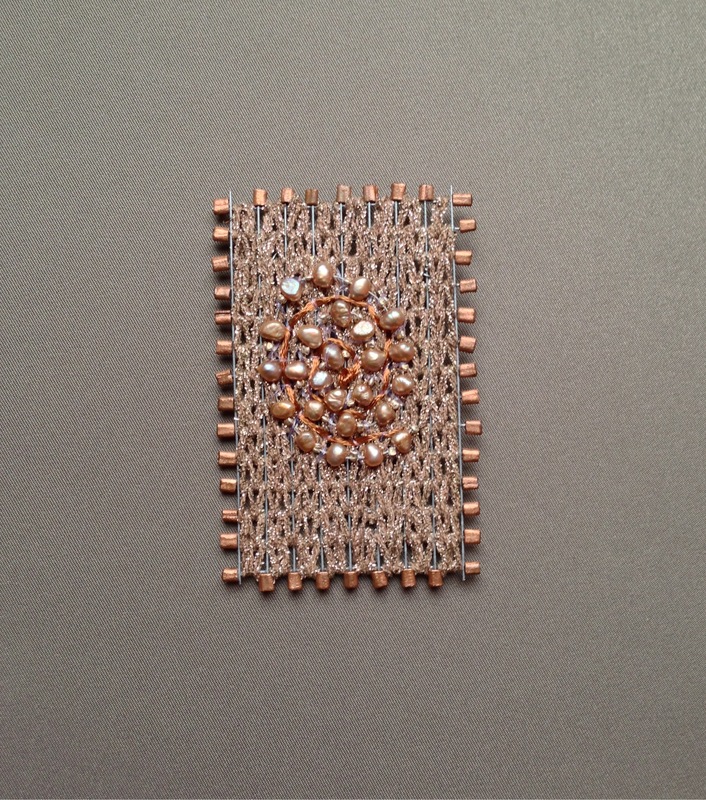 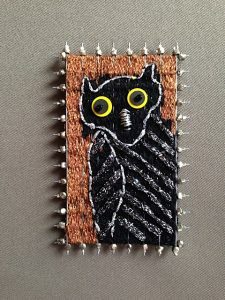 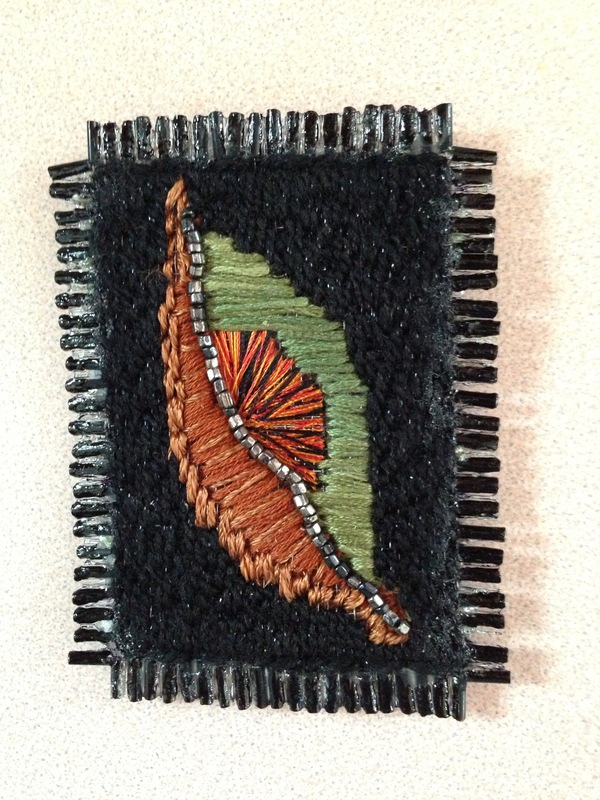 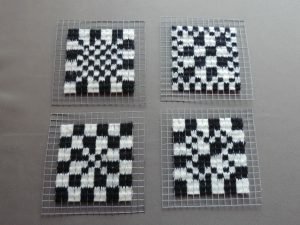 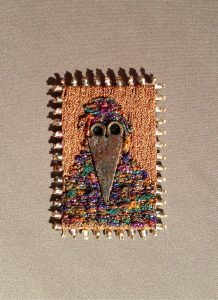 I have returned to the fiber world once again, but this time, I am making small weavings 2.5” x 3.5”. This series began as a requirement for a traveling show and I am continuing to limit myself to this size. 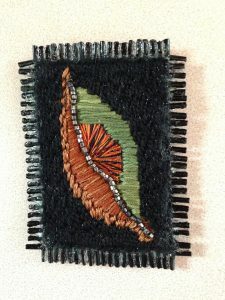 I call these works Yarn Paintings as I weave the background on hardware cloth and create an image by embellishing it with embroidery yarns and beads. I began this journey using symbols from my unconscious mind; I am not sure where I will end up.